How will the low snowfall of the past season affect Colorado’s vital ski and snowboard industry moving forward? Call it the Winter That Wasn’t. Unless you spent the season in Big Sky, this was a largely dismal year for skiing in the Intermountain West. Especially in Colorado, where the snow fell by the teaspoon. An inch here. Another inch a week later. Crazy heat. Angry winds. While April and May typically involve a touch of mourning as skis are stowed, the end-of-season celebrations this year seemed particularly jubilant. As if every caped skier and gorilla-suited boarder was elated to put this season to bed and move on. No more Saturday’s spent searching for a single soft slarve. No more cajoling listless kids to the slopes for another slushy Sunday. The workhorse of the North American ski industry—the stretch of resorts from New Mexico to Montana—suffered a rare low-tide in 2017-18, harkening back to the winters of 2011-12, 1980-81 and the transformative 1976-77 season. It wasn’t crippling like 1976-77, when the lack of snow kept many ski areas shuttered through December and even more unable to remain open in spring. That winter a Colorado senator in D.C. asked President Ford to declare Colorado’s ski country a financial disaster area, which would have allowed more small-business loans to flow from the nation’s capital. (That riled operators who thought a “disaster” label might deflect skiers and the president demurred on the disaster designation.) But that winter—unquestionably disastrous even sans presidential proclamation — forced Colorado’s ski hills to fully embrace snowmaking, sparking the near ubiquitous push to blanket slopes with manmade snow. Colorado’s 2011-12 season was the worst since 1980-81 for snow in Colorado and the state’s 26 resorts saw a million fewer visits than the previous season yet the 24 Colorado resorts on public land still sent their second largest revenue-based rent check ever to the U.S. government after that arid winter. The resort realm is much different now. A serious downturn in snowfall doesn’t cripple resorts and prod sweeping changes like it once did. That’s largely due to expansive snowmaking and skiers buying season passes months before the lifts start turning, diverting the risk of low-snow solely from the shoulders of resort operators. Case in point: Colorado’s 2011-12 season was the worst since 1980-81 for snow in Colorado and the state’s 26 resorts saw a million fewer visits than the previous season yet the 24 Colorado resorts on public land still sent their second largest revenue-based rent check ever to the U.S. government after that arid winter. But start stacking up sapless ski seasons and everything could change, especially if pass buyers start balking at their $900 bets. 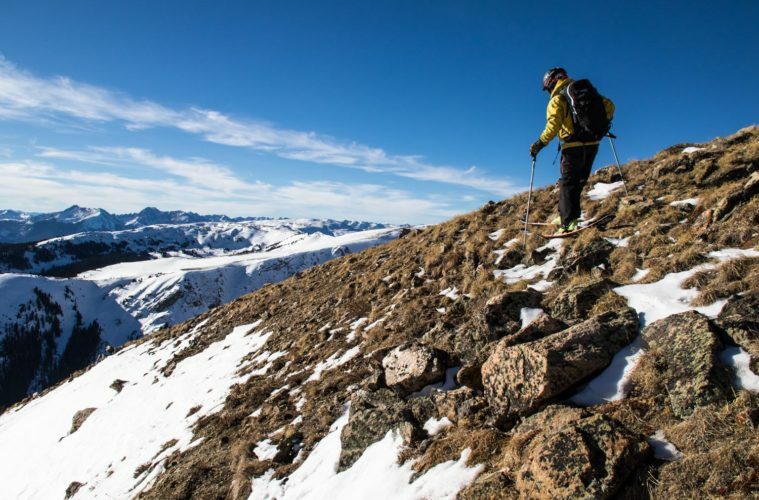 After a bad season, Colorado skiers tend to swarm. The seasons that have followed the worst winters tend to have huge rebounds. (Up 82 percent in 1977-78 and up 39 percent in 1981-82.) But that isn’t always the case. Visits climbed only 4 percent following the parched 2011-12 season. The 2016-17 season was record-setting for Colorado’s hills, with a second-highest ever showing of more than 13 million visits and the largest-ever resort rent check (based on revenues, remember) sent back to D.C. At the end of the 2017-18 season’s dehydrated December, visits were down more than 10 percent and resorts were opening soup kitchens for idled staff. Meager but opportune storms in January and February as well as a late Easter buoyed business. While it’s not likely The inevitable dip in visits this season will not even remotely reflect the decline in snowfall. Those are some sad snow stats. In January, Colorado snowpack was at record lows, the worst in more than 30 years. In early April as resorts were giddily pulling the plug, Colorado’s mountain snowpack was 66 percent of normal. The further south, the worse it is, with snowpacks dwindling to 40-year lows. Nimble operators reacted to southern Colorado’s parched conditions with aplomb. Silverton Mountain offered its helicopter guests a chance to use their days in Alaska and more than 90 percent of them jumped at the chance, joining Silverton Mountain Guides’ first-time Alaska menu delivering both single days and single drops. Droughty dexterity—like Silverton Mountain luring heliskiers to AK or Purgatory loading both bikes and skis in the early season—may become de rigeur for resort operators in this thawing era of global weirding. And that bodes well for the scrappy independent resorts that are laboring outside the emerging duopoly of Epic-versus-Ikon fiefdoms. He’s not ready to make any long-term projections about the future of snowfall in Colorado after sporadic poor seasons. But he has confidence in saying that warmer temperatures will continue. The 2017-18 season’s snow was erratic. Drainages within a snowball’s toss of each other had widely varying totals. Breckenridge had a respectable season, with about the same total snowfall as the previous season. But nearby Copper Mountain—just over the Ten Mile Range—harvested one of its lowest snow totals in recent years, thanks largely to a snowless December. “There was a line separating the haves and have-nots, thats for sure,” said Joel Gratz, the skiing meteorologist whose Open Snow has become essential for modern-day powder chasers. Gratz saw Colorado storms tracking slightly east, favoring resorts to the north of Interstate 70 and east of Copper Mountain. He’s not ready to make any long-term projections about the future of snowfall in Colorado after sporadic poor seasons. But he has confidence in saying that warmer temperatures will continue. “We are seeing general warming but for precipitation there is no trend,” Gratz said. Jason Blevins spent 21 years exploring Colorado for The Denver Post, writing about mountain culture, businesses, sports, industries and the region’s wealth of characters. He recently quit to protest the paper’s hedge-fund ownership. Look for his reporting and insight each month in the pages of Elevation Outdoors magazine.